"the best financial planners in Newcastle"
Need Financial Advice in Newcastle? 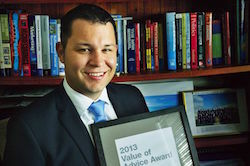 Elliot Watson is an award winning Certified Financial Planner (CFP) who has been providing advice to clients since 2007. Elliot enjoys helping his clients to create wealth and minimise financial risk. He is passionate about his work and couldn’t imagine doing anything else. With years of experience behind him and having now achieved the highest academic qualifications possible Elliot has decided to commence his own boutique financial planning business. Elliot’s vision is to provide unique and personalised services to clients in the Newcastle and Hunter communities. Elliot Watson Financial Planning Pty Ltd prides itself on strong relationships with its clients, with a focus on open and honest communication. 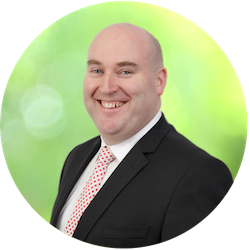 To ensure his clients receive the best financial advice Elliot has devoted the last fourteen years of his life to academic studies and on the job experience. Elliot is a Certified Financial Planner, which is the highest level of certification that can be reached in his profession and is internationally recognised. Elliot has been appointed a Justice of the Peace (JP) in the state of NSW. As a JP Elliot is authorised to exercise the functions conferred by or under the Justices of the Peace Act, the Oaths Act or any other NSW Act as required. In early 2005 Andrew moved to Sydney to work with MLC where he trained, consulted and guided financial advisers across Australia in the development of financial advice strategies, financial modelling and construction of financial plans (Statements of Advice). During this time Andrew also become a senior trainer of the ‘Paraplanner Academy’ – an intensive program designed to train and develop the skills of paraplanners and financial planning strategists from across Australia. Andrew is married to Melanie and has a daughter Imogen and a son Aksel. Rhys’ position as an adviser allows him the opportunity to assist clients with their goals and improve their financial situation. He has been in the financial industry for over 17 years, and continues to enjoy working with clients through all stages of their lives. He has achieved CFP® (Certified Financial Planner) status, has an ADFP (Advanced Diploma of Financial Planning) and holds specialist accreditation to provide SMSF, shares and gearing advice. He also holds professional memberships with the Financial Planning Association (FPA) and the Authorised Representatives Association (ARA). As a father of four young boys, he enjoys spending time with his family and enjoying all that is on offer in the Newcastle region.